Niagara-on-the-Lake real estate sits on land that has been settled for over 200 years. Everywhere you look, you see sites steeped in history. Our community is fortunate to have people passionate about this history. From ages seven to 77 and beyond, our local residents care enough to fight to preserve this history rather than see it fade away forever. These efforts have compelled the province of Ottawa to present several of our area citizens with a prestigious Lieutenant Governor’s Ontario Heritage Award. Recipients include a teen with a love of military history, a woman who has spent the last 50 years personally conserving historical sites, and two primary school classes. See why they were presented with these honours and which projects they felt so fervent about by reading on. Justin Nicholls, a 16 year-old Thorold Secondary student from nearby St. Catharines, always wondered what the purpose was for a giant horn sitting atop an 18-metre pole near the baseball field in Kernahan Park. Rumours hinted that the device was used to celebrate home runs or caution locals about weather advisories. It turns out the truth is a bit more harrowing. The device is a 1950’s relic from the Cold War era. When everyone in the world was concerned about the threat of a nuclear attack, Canada’s federal government established a grid of sirens to alert citizens to an incoming air raid. By the 1980s, the system was in disrepair, and the political climate indicated that the sirens were no longer needed. All were dismantled in the town of St. Catharines, save one. After putting two-and-two together regarding this historical connection, Nicholls petitioned the city to erect a commemorative plaque that would put rumours regarding the siren’s purpose to rest. The city agreed that the site deserved historic recognition, and marked it with a plaque last year. Nicholls became a youth recipient of the Ontario Heritage Award in February to honour his efforts. Linda Coutts is a regular community staple of NOTL, and an owner of a rare privately owned museum in Canada. She and her husband opened their own property to the public, a mansion first built in 1788 and that served as a home to Colonel Robert Nelles, a United Empire Loyalist. Coutts still sits on the board of the Nelles Manor Museum in addition to being an active leader in other community heritage programs. She was presented with a lifetime achievement award for her consistent and impassioned work. 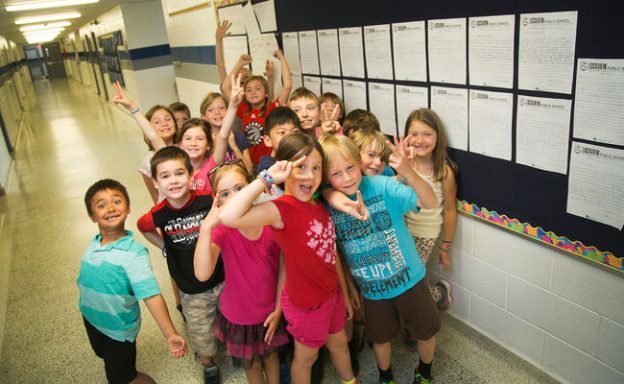 The final Ontario Heritage Awards went to two primary school classes from St. Catharines. Grade 5 students at Harriet Tubman School and Grade 2 students at Lockview began a letter-writing campaign last year to the parks commission to mark the only recorded crossing of abolitionist and slave-freer Harriet Tubman. The site is located at a suspension bridge between Niagara Falls and Niagara River. In December 1851, Tubman used the bridge to bring 11 escaped slaves to freedom. Students of Harriet Tubman School and Lockview began writing letters and creating posters to encourage the parks commission to commemorate the site. The two classes were given an award for group youth achievement following their successful campaign. Residents of Niagara-on-the-Lake are always eager to discuss history, visit important sites and campaign to further the cause of historic preservation and education. If you love living in an area rich with culture, Niagara-on-the-Lake homes for sale may be perfect for you. Take a look at our local property listings to start finding your place among NOTL history today! This entry was posted in Blog on March 15, 2017 by Kevin Stokes.